Music Row meant nothing to me when I first came to Nashville from Iowa in February of 1981 to record with my band, The Ozone Ramblers. I'd never even heard these two words used together, nevertheless thought about or tried to understand their meaning. We hit town searching for a specific address. 809 18th Avenue South. This was the address of the studio we would be recording in, Pete Drake's studio, Pete's Place. As traveling musicians, this was just another street address of a physical location where we would be playing our music. Our only concern was getting there safe and sound and finding a good place to park our motor home and trailer. Of course we were excited. We'd been planning and looking forward to recording our first record in Nashville for many months, but it had absolutely nothing to do with what street the studio was on or where it was located in the city. We couldn't have cared less about that or spent less time thinking about it. We were in Nashville, the capital of country music and we were going to record our very first record! We had no idea as we piled out of our Winnebago that we were putting our feet down and walking on sacred ground. That we were standing on none other than Music Row! We found out quickly though, within minutes of walking through the door. Every wall was covered with a mix of Gold and Platinum albums and we recognized all the songs and the artists that had recorded them. Every one we were introduced to was a songwriter or musician or singer and all the conversation was related to music. There was a recording session taking place in the studio and you could feel the creative energy flowing throughout the entire building. It was so exhilarating and like no other place I'd ever been in my life, and these two words, Music Row, were spoken multiple times throughout our visit. There was no other explanation needed by that point, we were right where we were supposed to be, even though we didn't know it when we got there. These people were just like us! They talked, ate, breathed and lived music, and it was like that for the entire 2 weeks of our first trip to Nashville. It seemed everyone we met, every place we visited, every encounter we had, was directly related to music, one way or the other. Coming from Ft. Madison, which is classic small town America, spending this time on Music Row and being around so much creativity was mind blowing. It was truly a life changing experience and even though I didn't realize it at the time, I was hooked. I know any of you musicians/singers/songwriters reading this that have visited Music Row know exactly what I'm talking about and can very much relate. There's literally nowhere else in the world like Music Row in Nashville and there never will be. The legacy of Music Row is the music that's been created and recorded in those studios housed in those buildings, up and down it's streets, and all the musicians, singers, songwriters, producers, and engineers responsible for all the thousands of wonderful songs. This music will live forever and knowing that brings joy to my heart and soul. I know it's safe to say that the experience I'm describing, though personally relating to my band and situation, has been repeated countless thousands of times since the day country music pioneers and brothers Owen and Harold Bradley moved their recording studio to 16th Avenue South in 1954 and opened for business. For 60 years musicians/singers/songwriters have been migrating from all over the world to set foot on Music Row, and experience first hand the music scene in Nashville. Music = the art or science of combining vocal or instrumental sounds (or both) to produce beauty of form, harmony, and expression of. Row = a street with a continuous line of houses along one or both of its sides, esp. when specifying houses of a particular type or function. And there you have it, only in the case of our Music Row there are multiple streets combined in a several block area consisting of 15th, 16th, 17th, 18th, and 19th Avenue South that form this nucleus, located centrally between Broadway and Wedgewood Avenues in Nashville. I don't know who is credited with coming up with this term, Music Row, but for so many years these two words have been the perfect description of this tiny area of our city. There's an old saying that goes something like this. "In Nashville, you can close your eyes and throw a rock over your shoulder in any direction and you're going to hit a musician, singer, or songwriter", and it's true! Just stop and think about it for a minute. How special must a place be that it would inspire countless thousands of creative individuals to migrate there from all over the planet? To leave their homes, their family, their friends, and in many cases sell everything they have to move there after having only been there once, or in some cases, just because they heard about it? Consider the magnitude of that thought. That my friends, is Music Row! That is, until now in October of 2014. Because now Music Row is being destroyed building by building, piece by piece. When I say destroyed, I mean exactly that. Demolished, torn down, hauled away brick by brick, in trucks leaving huge holes in the ground up and down these hallowed streets. Holes destined to become basements and parking garages for condo after condo as land grabbers and developers line their pockets making a fortune as fast as they can sign on the dotted line. Simply put what this means is that very soon, in a matter of days, not years or decades, there will be no more Music Row as we know it today, for all time. Another reason this is so outrageous and infuriating is without the money that has been generated and funneled back directly to our cities coffers from our music makers on Music Row for so many years, Nashville would never have flourished and achieved its current state of celebrity, ever! Our music - and specifically our music makers, past and present, who inhabit these buildings on Music Row - have been the life blood of our economy for so many years and the very thing that's fueled our rapid growth as a community. Not only the billions from the sales of our music commercially, but all the millions of tourists that have visited Nashville because of our musical fame, all the conventions that have chosen to frequent our city, and on and on! All of these visitors spending their hard earned dollars in Nashville because they want to hear and experience our music first hand, and this money is what built this city and sustained it financially for so many years. Music that was created in these studios on Music Row! And now they are tearing them down as fast as they can get it done with no concern for those who built it in the first place! 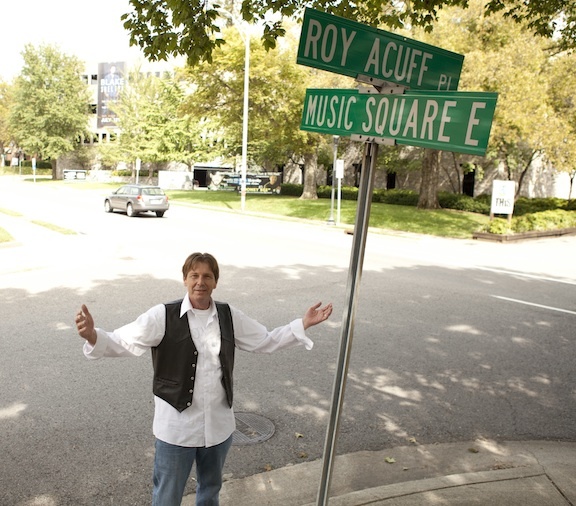 If we don't stand together as one and have our voices heard, Music Row is soon to be no more. How sad is that? How WRONG is that? Authors Note: Here's a link to Music Industry Coalition a group formed on Facebook to Save Music Row!